Hemoglobinopathies are the most common class of singlegene disorders worldwide. 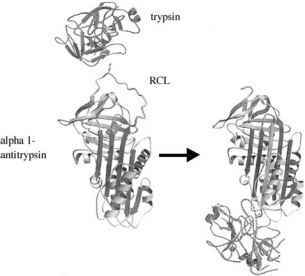 Structural hemoglobinopathies have been paradigms of ''molecular diseases'' in which codon and resultant amino acid changes produce a dysfunctional protein. Familiarity with the performance characteristics of different methods of hemoglobin variant analysis is basic to accurate diagnosis. Hemoglobin electrophoresis is useful for screening a small number of samples, but the bands are relatively wide, many hemoglobin variants overlap, and quantitation by densitometry is inaccurate at low concentrations. IEF and HPLC-based methods offer specific advantages. HPLC offers excellent sensitivity and specificity plus the attribute of quantification, important for accurately discriminating phenotypes where a hemoglobin variant and p-thalassemia are coinherited. The increasing adoption of newborn screening programs for hemoglobinopathies, initially driven by presymptomatic identification of homozygous HbS disease and other double heterozygous forms of SCD, has permitted frequency analysis of phenotypes containing hemoglobins F, A, S, C, E, O, and D. Most newborn screening programs currently perform IEF on eluates from the newborn dried blood spots. Some programs use HPLC or cellulose acetate electrophoresis as an initial screening method. The introduction of PCR-based techniques has significantly improved accuracy, reliability, and throughput of structural hemoglobin diagnosis. In the United Kingdom, the reported total error rate for PCR-based antenatal diagnosis of hemoglobinopathies has been 0.41%, comprising a 0.10% laboratory error rate and a 0.31% nonlaboratory error rate. DNA analysis is available on a clinical basis for the mutations associated with each of the hemoglobin variants discussed in this article. In light of the high prevalence of hemoglobinopathies, diagnostic genomics for hemoglobin variants is a current priority in developing countries.